I was asked to participate in the #BestStarts campaign, sponsored by Well Beginnings™ at Walgreens. Although I have been compensated, all opinions are my own. This summer we've spent a good amount of time on the go. Truth be told we didn't have it in us this year to embark on traveling with a newborn so we kept it to local adventures. I mean, we live in the city; so there's no shortage of activities for the kids and the family, which is amazing. If you spend any time watching my insta-stories you'll see we're basically at an outdoor movie or outing several times a week. Honestly, it's a great little thing we have going on. But I will say the most effort in getting us out of the house and into the fresh air starts with us planning and packing up the essentials. It's a task to say the least. We basically end up walking out of the house with a backpack, mini backpack and a tote full of things to last us through the day into night- everything from water and snacks to diapers. We end up looking like pack mules to say the least. But sometimes, it's easy to forget a thing or two. Even important things. Like, for example, when David and I decided that we wanted to go out on an impromptu picnic in the park while the boys were at camp? Diapers and wipes. My bad! Thankfully, there's a Duane Reade on just about every corner in NYC to stock up on all-things-needed. No joke, I'm probably there at least 3 times a week picking up water, snacks, Redbox movies and/or cat food; so we're not newbies to frequenting their locations. But what was new to us (and most importantly) was their selection of Walgreens owned brand, Well Beginnings™ baby care items. In this case, diapers and wipes! Guys, they are actually pretty amazing and come at a good price. The diapers come in all sizes, even training pants for toddlers; and real talk: the quality is up there and they're hypoallergenic. 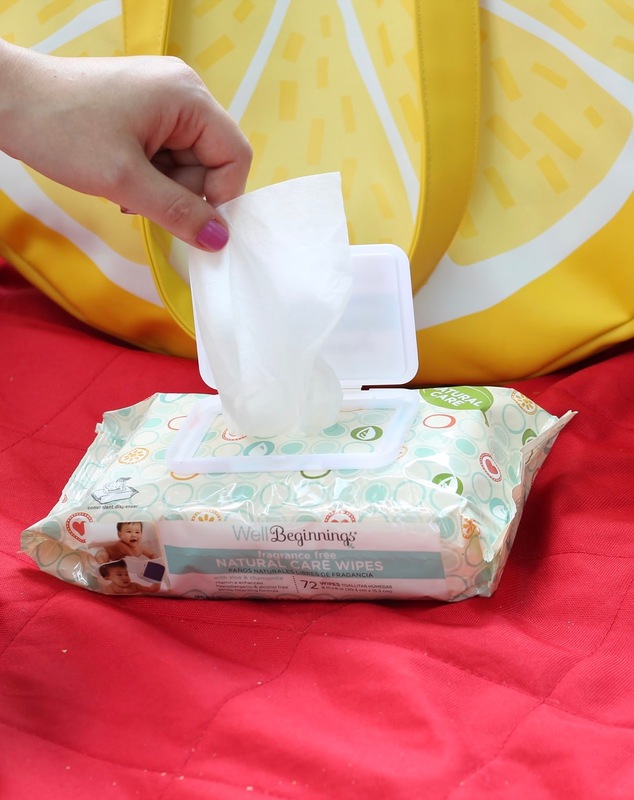 Fact: Well Beginnings™ diapers received the Good Housekeeping Seal for Drugstore Star. 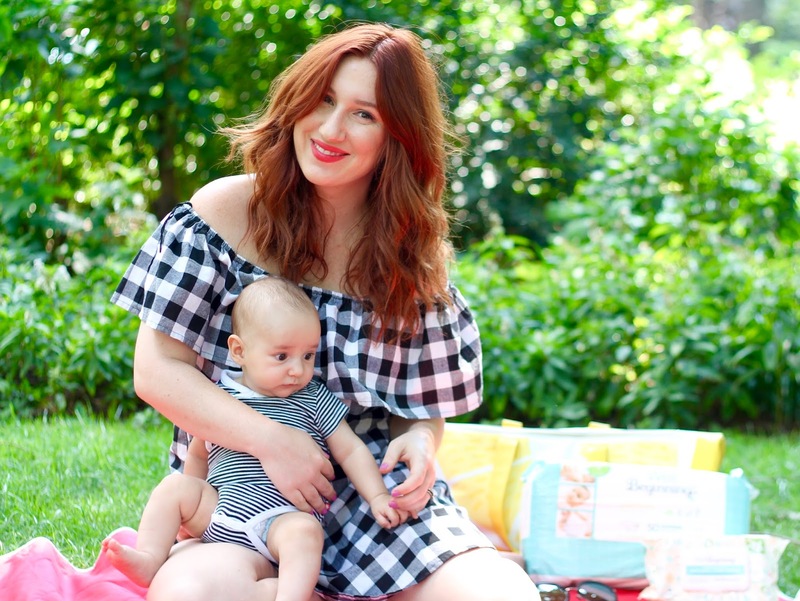 We actually spent a good amount of time on our picnic blanket talking about how these were way better than a brand that we used while the boys were in diapers and recently went back to only to realize we hated them (I will spare you the gory details as to why). Needless to say I'll be stocking up on these, especially when their price tag is under $20 for a large box. The package of 50 (size 1) is an Everyday Low Price of $6.99, which isn't too shabby. PLUS, there actually was a coupon dispenser on the aisle for $2 off so, extra bonus (it runs until 8/26). As for the baby wipes Well Beginnings™ have a TON of options in that department - everything from Shea Butter to Natural Fragrance Free. All of them are dermatologist tested and alcohol free. 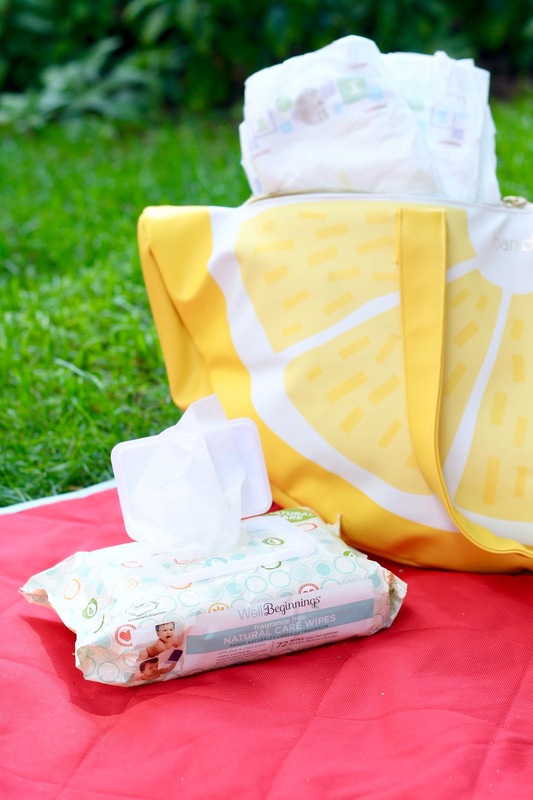 We grabbed the Well Beginnings™ Natural Care Baby Wipes and went on our way, now prepared. Next, for throwing down the blanket, kicking off our shoes and finally getting to indulge in some Shake Shack and sunshine without the worry. 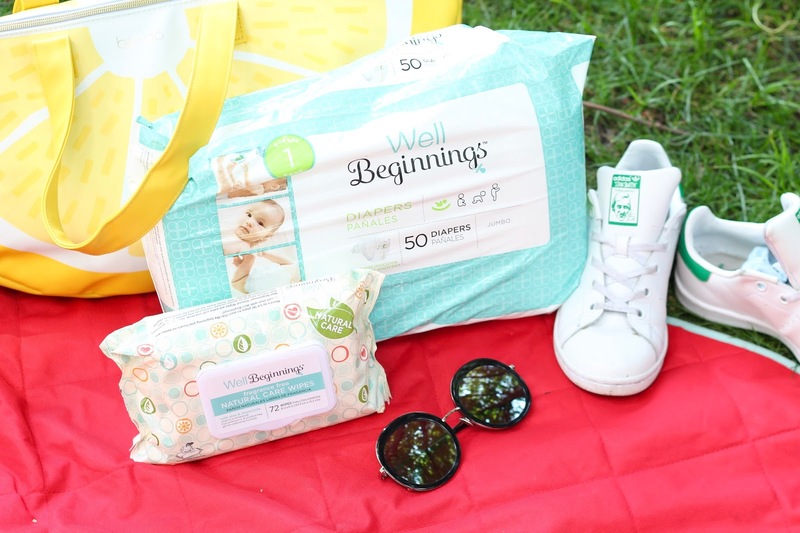 You can find Well Beginnings™ baby care items at Walgreens, Duane Reade and Walgreens.com! Mamas! If you’re around tonight at 8pm EST I’d love you to join me at the #BestStarts Twitter party! Head over, tweet with us and enter to win some goodies for you and your baby! See you on Twitter. 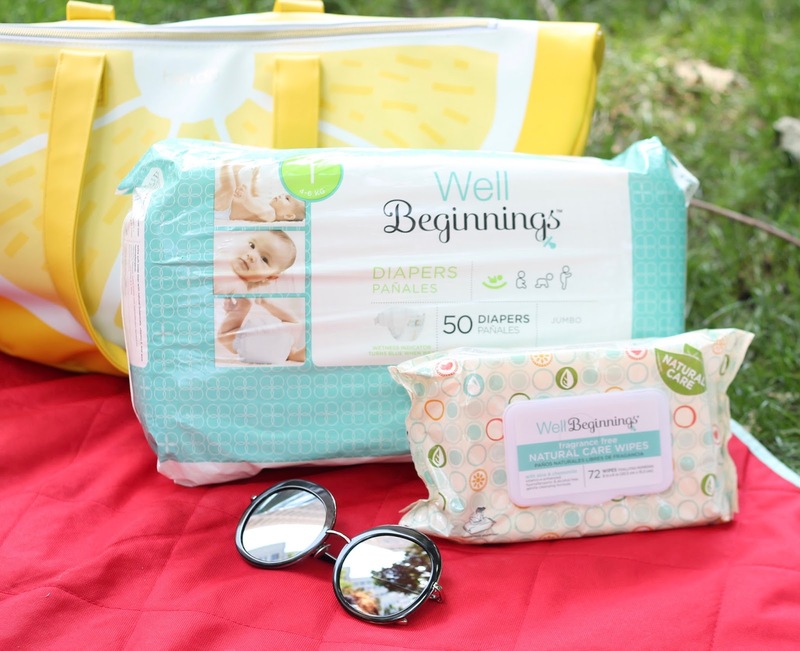 Enter the #BestStarts Sweepstakes for your chance to win Well Beginnings™ and a gift card!